I'll admit that I had put Fire Emblem Heroes down over the last few months. I love the game (really love it), but I've just not had the time to dedicate to it. 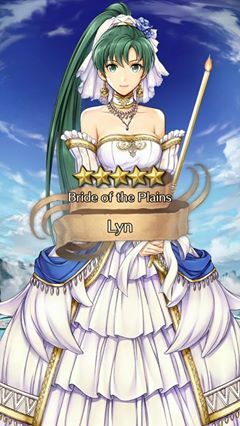 So naturally Intelligent Systems comes up with the perfect way of forcing me to free up some time; it holds a special event that allows me to get Lyn into a wedding dress. Related reading: Matt's article on Fire Emblem Heroes, back when it first landed on his iPhone. This limited-time event takes a number of Fire Emblem's most popular ladies, and creates special editions of them, where they're wearing a variety of gloriously white wedding dresses. 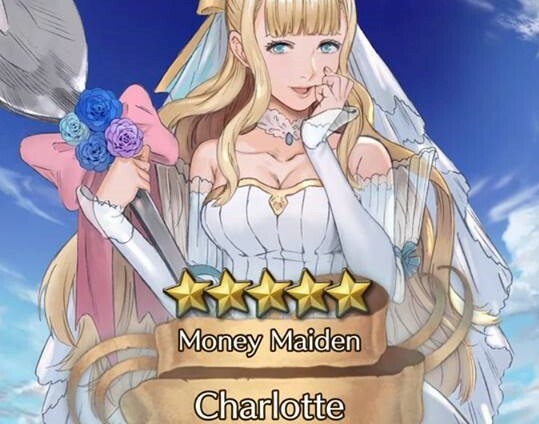 More than just a visual change, these characters also play differently to the default versions of them in Fire Emblem Heroes (for example, getting-married Lyn is a ranged attacker, where normal Lyn is a sword fighter). They are also, naturally, the rare pulls from the game's gacha system (for those that don't know - "gacha" is like opening a packet of random cards, with some cards being more rare than others - you might get the card you want right away, or you may well spend a million dollars and never actually get that card at all). It'll be hard to get them all in the time frame allowed for this event, of course. That's how you'll be encouraged to spend money on the game. I know some people are really sweating on whether they'll be able to get getting-married Lyn in time before the event ends. Luckily I got her on my very first attempt. Amusingly enough I also got the equally-rare default Lyn on my first draw when I started playing the game. Clearly her and I were fated to be together. 1) Back in those days, people didn't generally wash when it was cold. Brides wanted nice smelling crowds, though, so they would organise their weddings for when people started washing again. 2) Furthermore, to add to the pleasant aroma that made for a dream wedding back then, all the nice smelling flowers were in bloom by June, meaning that you could have lovely bouquets and further mask the smell of the tightly gathered crowd. 3) More practically, March through to May was also a busy working season for farmers and other labourers, and a wedding was a distraction that, at the time, few could afford (and indeed, weddings were banned in some places at this time for those farming months). And so the tradition of the June Bride was born. These days, of course, it's more just part of the romance of the event. It's generally assumed that no matter when you hold your wedding now, your audience will bathe for the event. If they don't, reconsider ever inviting them anywhere again. Related reading: Also just released onto Nintendo 3DS - and very essential, is Fire Emblem Echoes. Matt's full review. Fire Emblem Heroes has been a real hit for Nintendo and Intelligent Systems on iOS. It perhaps didn't have the instant impact that Mario did for his first outing on mobile, but there's going to be a very long tail to this game, particularly if Intelligent Systems keeps up with quality special events and the touch of fanservice like this one.